Last week we shared news that Camden's Lock Tavern was being sold casting its future into doubt. It has now been revealed that the much-loved pub and gig venue has been sold onto new owners who intend to keep it open in its current form. The building's new owners say that the programme of DJs and live acts will continue when they take over from next month. 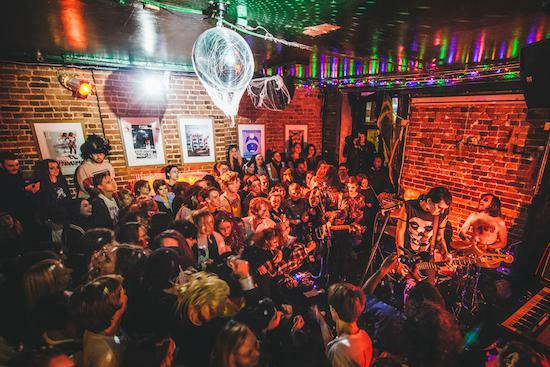 "The Lock Tavern has a fantastic history and we are looking forward to breathing new life into this Camden institution and honouring its musical heritage," says Bradley Lomas of East London Pub Co. "The pub has been around for decades and host to some of the UK's best up-and-coming and established talent, which is why we want to ensure music remains at the heart of this venue." The building will close from August 29 and re-open under new ownership on September 23.